If you had any doubt that using the latest flagship smartphone coming from Samsung, the Galaxy Note 7, could be dangerous, then you should know the South Korean company issued an official statement that urges all customers who own one to simply stop using them. Even after confirming the recall of the phablet, there have been isolated incidents where the Galaxy Note 7 exploded while charging. Even FAA advised passengers to power off their Galaxy Note 7s during flights to avoid any major incidents. 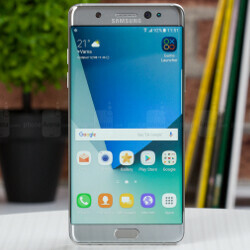 A little over a week ago, Samsung announced a global replacement program for the Galaxy Note 7, but if you thought that you don't need to exchange your device since it worked flawlessly until now, then you might want to reconsider since word is the South Korean company plans to remotely deactivate all recalled Galaxy Note 7 units after September 30. Until then, Samsung asks all customers who own the Galaxy Note 7 to go ahead and replace their smartphones as soon as possible by taking advantage of the exchange program. “Our number one priority is the safety of our customers. We are asking users to power down their Galaxy Note7s and exchange them as soon as possible. We are expediting replacement devices so that they can be provided through the exchange program as conveniently as possible and in compliance with related regulations. We sincerely thank our customers for their understanding and patience,” explains DJ Koh, President of Mobile Communications Business, Samsung Electronics. If you don't know how you must proceed, simply contact your place of purchase or call the designated call center locally as soon as possible. There you have it, folks. 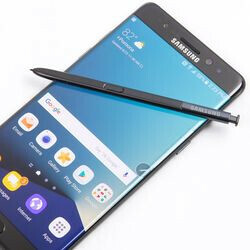 This is no joke since every major institution that you might think of has already warned customers against using the Galaxy Note 7, including the company that released the phone, Samsung. I have never used any Samsung flagship mobile since Galaxy S2. But I really feel the pain of those who are going to return or have already returned their note 7. Waiting Everyday for new note 7 would seem like a year . Let us make sure that no hero worship exists for Samsung doing their own laundry after s**tting their own bed that others were also sleeping in. I just feel bad for Samsung. One minute they were flying high with confidence and the next thing you know, their credibility starts falling apart just because of this incident. 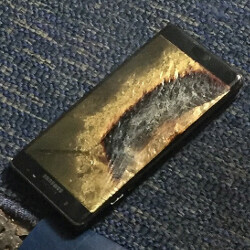 Now everyone's going to say, "I heard the Note 7 exploded, better not but that product from Samsung as well, it might explode too, you never know." You feel sorry for an organization? Really? Maybe you should feel sorry for the many members of the org, customers impacted, retailers impacted, 3rd party vendors who were impacted because a handful of people had no sense of a good faith clause that required a little bit of common sense-forward thinking needed to actually inspect the damn batteries and how they worked within the units. This injury to the Samsung reputation was both self inflicted and well deserved. Am sure the phones wre tested. With on 35 that actually had an issue out of 2.5M, you really think they would have found one of them? I am sure they are tested. But none of them had an issue. Let me ask you. If I placed you and 23 of your friends in a city with a population of 2.5M, how fast do you think I could fine you and them without any hints? Probably never....right? Its so easy for you to look on the outside and make false claims that are nothing but trolling BS. The fact is smarty, any device with a battery can explode. Unlike some brand, A Samsung phone has never brought a plane down, has never exploded on a plane. Electronics have exploded before, but never have been banned from sales. Some people have died. Not one Samsung owner has been killed. Only one out of 35 phones known to have had an issue injured anyone. Yet how many people were killed and injured by other brands of phones? Lots. I am sure no one wants or expects a phone to behave against its design for safety. But that doesn't mean it own happen. 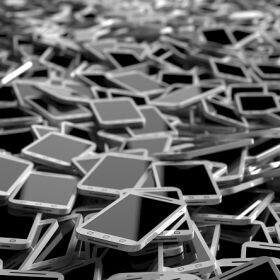 Unless they tested every songle phone, which we know, no one does; it would have been pretty much impossible to have found even one of them. So please shutup because you have no idea what you're talking about. So you have proof there is a conspiracy that favors Apple and crucifies Samsung? Why don't you go public with your evidence?? As a matter of fact, I'm sure Samsung puts their batteries under strain and doesn't only test a few. Just because 35 are reported incidents, doesn't mean other incidents aren't happening. Samsung would put their batteries in large numbers under strain and have quality assurance programs and checks in place. Their method of checking would not be as small or as simple as you suggest. They are a large organisation after all. I'm sure they would have discovered a few batteries or the flaw in the insulation. It's their subsidiary after all, so I can only speculate this was a profits play and risk taken more than anything else. After all, if a One Plus 3 with decent specs running android can be had at less than half the price, what's stopping Samsung? Corporations are all about $$$. The reality of the situation is that Samsung has had damage done, batteries are faulty on a mass level and the potential of someone dying or getting severely injured is there. There is absolutely no way around this. There is no other excuse or comparison worthy. Because reality is, this is what is happening, all quite recently since the Note 7 was on sale. All they can really do is damage control, but in the eyes of the general consumer (the majority of smartphone buyers), this will hurt regardless of how they have handled the situation. Maybe someone can clarify this is the snapdragon one bad or the exonys? Sorry if spelled that wrong. As far as I know, both. If your Note 7 is made in China, you're lucky, if it is in Vietnam or Korea, then you have a grenade in your pocket. Shouldn't it be more like, it's not the processor that is causing the explosion. It's the battery...? If it's both, each and every phone with those processors are dangerous. And that's millions of it all over the world! 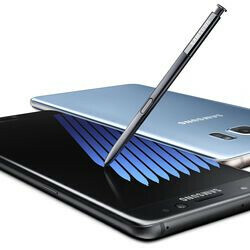 All Note 7's with batteries manufactured by Samsung SDI have been recalled. The Soc type makes no difference. The issue is with the battery, not the processor. Still waiting for the replacements to be available. still waiting for the re release. Ain't waiting for any replacements. I've got one with a made-in-China battery. Bad luck for those who gotta wait for a month! All 3 of mine luckily were made in China. So I'm not worried. It has only gotten warm, but never hot. 2 are from T-Mobile and my one Exynos version from Rogers did too. So do I. Both my wife's and my Note 7's (Sprint) are both made in China. I will still get them replaced anyways when the replacements for Sprint arrive. I have a Note 7 and it has been working normally without fault until today. However today when I finished a call the phone froze. There was a rapid increase in temperature well above anything you would consider normal. It was seriously hot! I thought the battery was in the process of failing. To try to get the phone powered down I did a reset with the volume down and power button which got the unit going again and after 2 failed attempts to boot it was back to normal. The phone was then powered down. Temperature returned to normal. Phone boots and operates normally but not taking a chance anymore. I don't think this could have been a battery issue because once a lithium battery goes into meltdown it would not have stopped. Phone due to go back for exchange under the recall anyway. Just wonder what would have caused the high temperature. Have made a lot of calls on the Note 7 and it does not even show any signs of warming up normally. Phone is fantastic and the display seems much better than the previous Note models I have had. Guess I will just have to go without till it gets replaced. Very much worth waiting for though. techie and tedkord. read my lips or not and stop living in denial of how great your note 7 is. get over it! Do your lips have better English than your posts? I hope so. Either way, the Note 7 is the best large phone on the market. Damn man, that's messed up. Glad the little dudes ok. These phones have to be turned in, but Samsung is doing its part. If they knew about the issue and recall, then it's on them, not Samsung. Don't know how that'll hold up in a court of law. I highly doubt it'll come down to court proceedings. it was negligence on the parent's part. Samsung has up to this point acted according to how it should given the circumstances. That's true, this issue is gonna linger. Too much of this, and no one will trust the replacements.